Why is it often our impulse to think that food grown in some exotic, far-off place is more super-duper than food grown in a modest garden out in our own backyard? Himalayan sea salt. Amazon rainforest acai berries. Borojo pulp (AKA: jugo de amor) from the jungles of Panama. And yes, we’re the same folks who fuss about tinkering with the rainforests. There are few foods more super than chard and it’s easy to grow. If you’re not a “do it yourself” type, chard is available at most grocery stores and farmer’s markets. One cup of cooked chard contains 715% DV of vitamin K, 214% DV of vitamin A, and 53% DV of vitamin C. It’s also high in magnesium, potassium, iron, vitamin E, and even contains some protein. Ancients Greeks and Romans honored chard for its medicinal properties. They were right. 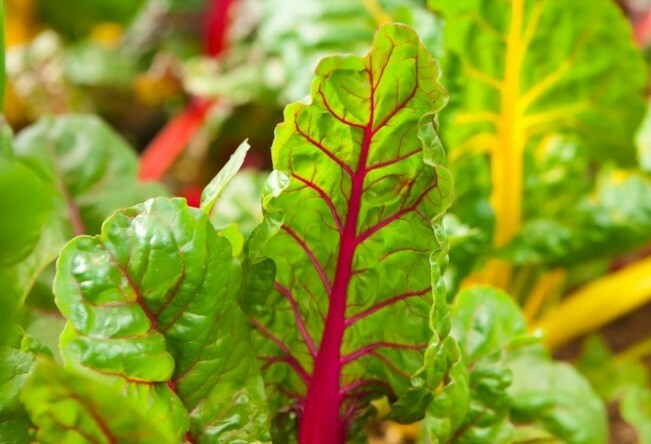 Chard is packed with phytonutrients—plant compounds that promote good health. One nutrient found in the leaves of chard is syringic acid, a flavonoid that may help control blood sugar. Flavonoids are substances synthesized by plants that have common chemical structures. Recent research (we’re not diabetic bunnies, but this is promising) shows lower blood glucose levels after administration of various doses of chard extract. There are a measly 35 calories in 1 cup of cooked chard. Chard is packed with anti-inflammatory and antioxidant goodness, but chard also contains a measurable amount of oxalic acid, which some people are sensitive to. For more information on what oxalates are and where they’re found, please check here. One of my favorite ways to eat chard is with poached eggs. Heat oil in a large skillet over low heat. Place chard and tomato in skillet and sauté for 5 to 8 minutes, or until chard is slightly wilted. Use tongs to mix for even cooking. While the chard is cooking, poach the eggs in a pan of water and toast the bread, if using. Using the tongs (or a slotted spoon to drain the mixture), layer the greens on the toast and top with the poached eggs. Season with salt and pepper to taste. Note: Save the chard stalks for use in smoothies. 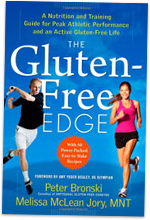 They’re packed with fiber and phytonutrients, but use them sparingly, as they can be over-powering and slightly bitter.